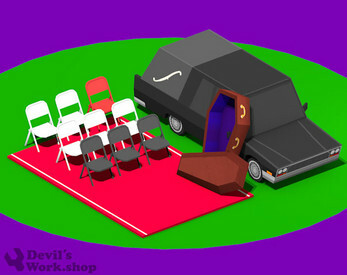 The Devil's Work.shop Low Poly Hearse Car and Funeral Scene contains - one vehicle, with separate wheels, and a few complementary props like steel chairs, coffin (with coffin lid) and carpet. The asset pack also contains textures are .PNG, TIF, and TAG file formats.The assets have been textured, UV mapped, and unwrapped. The mesh and texture are of high quality and are easy to customize to make a variety of vanity pool tables. The asset can be easily imported into Unity or an open-source game engine like Superpowers. First 10 copies are Free! 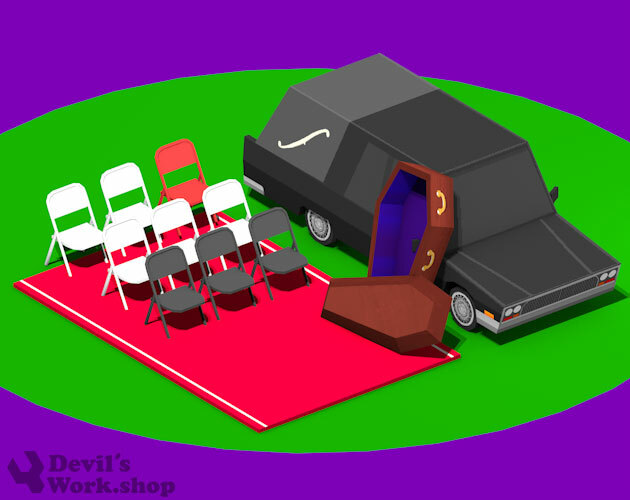 With the release of a new asset pack, the Devil's Work.shop is giving away 10free copies for all registered itch.io users. Grab your FREE asset pack now!